Oxfam Unwrapped Charity Gifts. Get Facts & Info Here. When you visit Oxfam Unwrapped's website you'll be amazed at how many different kinds of charity gifts you can buy. If you don’t have time to visit one of Oxfam’s high street stores, why not visit Oxfam's shopping websitefrom the comfort of your living room. Food is a priority for crisis-hit families and this gift is the edible equivalent of first aid. Oxfam will be there with the essential eats including grain, beans and oil to keep everyone going until normality is restored. A fresh, zesty fragrance with Rich earthy undertones. Top up your Hygiene Kit with some Lemongrass soap for a well earned bit of pampering. Low attendance at school and high dropout rates deny too many young girls a start in life. 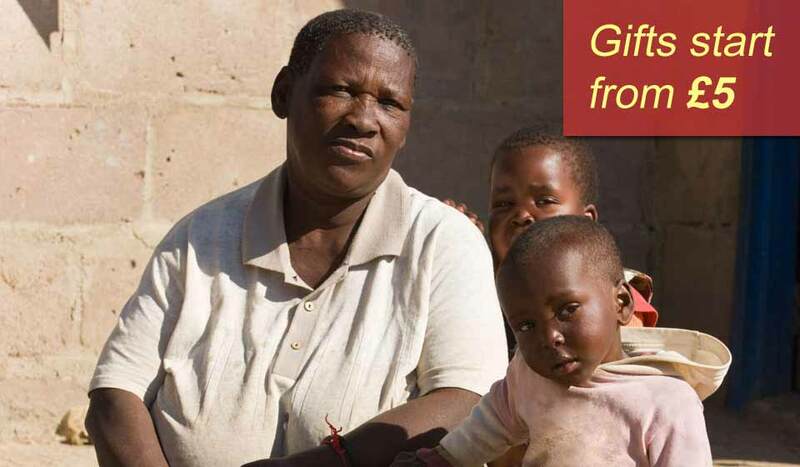 This gift will help change that in two ways, by helping to pay for the clothing, books and facilities girls need to get started and stay in school and by convincing communities and governments of the value of educating girls A+! Here's a 'buy one, get two for twice the price' offer. Two billy goats will produce twice the fertiliser; two nannies produce twice the milk and a breeding pair will make more goats for either growing the herd or passing on to another family. Go on, do it for the kids! Worldwide, thousands of women and men are breaking the silence on domestic violence. This gift helps them speak out – supporting everything from radio shows and protests, to petitions and street theatre. Whatever it takes to bring change to their communities. Visit their Ethical Collection store, where you can purchase Fairtrade chocolate and clothing. Or perhaps consider a unique gift from Oxfam Unwrapped, where unusual presents will benefit people in need all over the globe. Combine charity with convenience and pay a visit to Oxfam Unwrapped's charity gift shop today. You're only a few clicks away from providing the support that could change someone's life. It’s amazing how much can be achieved with just a small amount of money from people like you and a little help from Oxfam. 10p is spent on support and governance. 10p is invested to generate future income. 03 Lots of unique items you will not find anywhere else. New items appear daily. The original Oxfam was formed in Oxford in 1942. Back then its full name was the 'Oxford Committee for Famine Relief'.